Simi Sonubi (F’14) introduces Chris Maxey who received the Distinguished Global Service Award from BHGHNY. 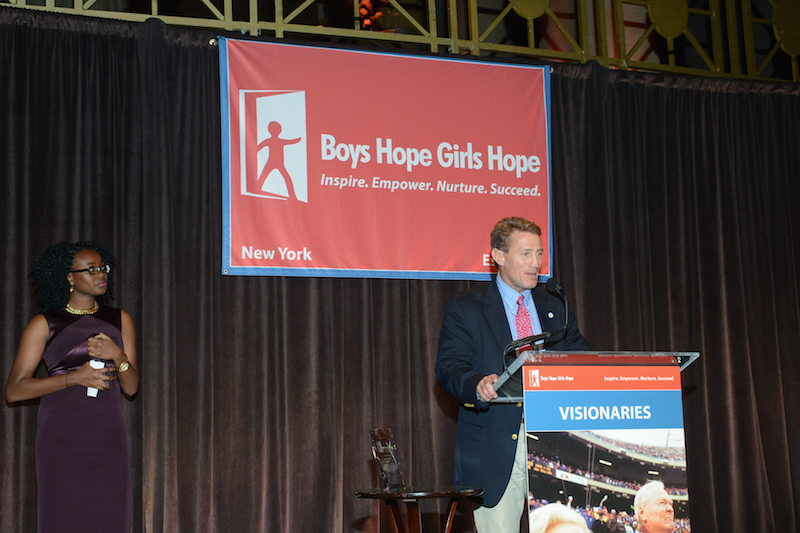 On May 7th, 2015, over a record breaking crowd of 875 people gathered at Cipriani Wall Street for Boys Hope Girls Hope New York’s (BHGHNY) annual Vision of Hope Awards Dinner. Introduced by Fall 2014 Island School alumna and current BHGHNY student, Simi Sonubi, Island School Founder, Chris Maxey was honored for the incredible work he has done through The Island School’s City Bridge Program. Maxey has created an international platform where year after year students and professionals from all over the world live and work hand in hand with locals to build a green community that focuses on marine and ecology studies, sustainable development initiatives, and “fosters the development of responsible, caring, global citizens”. The Distinguished Global Service Award was inaugurated in 2012. The past three recipients are Barbara Chase, Former Head of School of Phillips Andover Academy, Charles Deacon, Dean of Undergraduate Admissions of Georgetown University and Bradford Gioia, Headmaster of Montgomery Bell Academy. 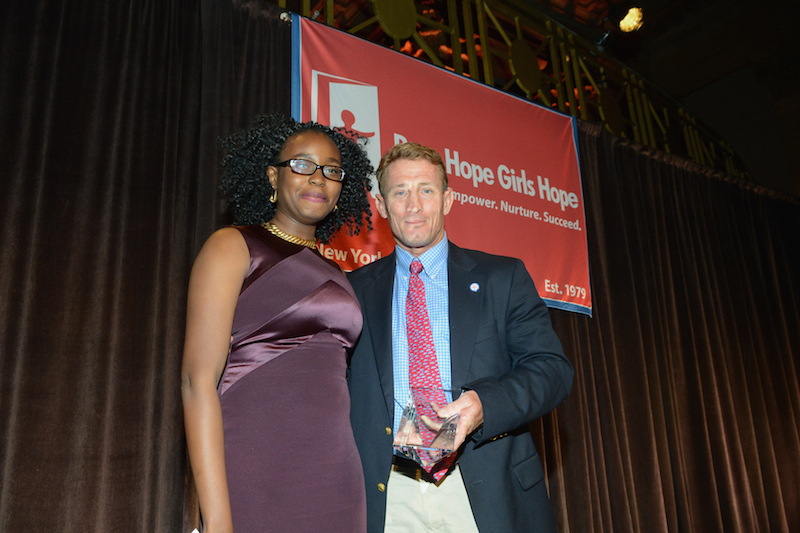 Also honored was Doug Kimmelman, Founder and CEO of Energy Capital Partners with the Vision of Hope Award. Super Bowl-winning New York Giants Hall of Famer Michael Strahan received this year’s Wellington T. Mara Award. In addition, BHGHNY student Adrian Roque-Silvas received the Mary Lanning Service Leadership Award. Also in attendance was distinguished guest John Mara, the co-owner of the New York Giants. The strong relationship between The Island School and BHGHNY continues with two students attending the semester program next academic year with full scholarships. Founded in 1979, BHGHNY aims to serve low-income-first-generation-college-bound-students who are most in need and who have the demonstrated ability to excel in a demanding academic setting. As the region’s only urban boarding program, BHGHNY is at the vanguard of youth development and its overall efficacy and approach continue to set new standards in student services and support. Over the years, our scholars have enjoyed high school retention/graduation and college placement rates of over 85% and hundreds of our graduates have gone on to enjoy productive lives as contributing members of their communities.